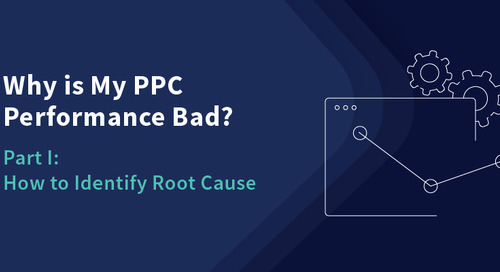 Sometimes you have to look far and wide for tools and resources that you need for your PPC campaigns to be successful and profitable. Other times, what you need to be successful can be found right at your fingertips. Such is the case when you use both your own inventory and lead capacity to optimize your SEM activities and increase ROI. 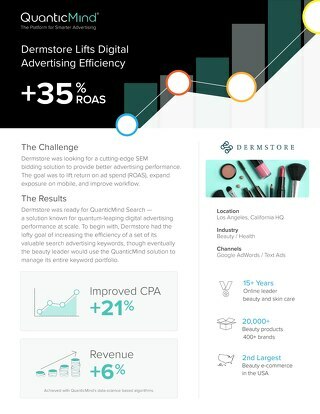 The combination of the products you have available, along the number of leads you can successfully generate and handle are critical data points that can be leveraged to your advantage — as important indicators regarding the success of your campaign, as well as a foundation from which to make your SEM strategies and campaigns even better. Inventory — Which products you have available, online or in-store. How much stock you have of each product and when they might run out. How well your inventory selection matches product search intent and volume. Lead Capacity — How many leads you can successfully handle during a certain time frame or situation. This depends on important factors like lead volume, length of the lead cycle, capabilities and capacity of your internal teams, etc. For just about every type of company, both inventory and lead capacity are important for business success. They can also help inform and strategize your SEM program to drive revenue, reduce wasted ad spend, and generate higher ROI. Here are nine creative ways to use inventory and lead capacity information to build a more efficient SEM strategy. Local Inventory Ads (LIAs) are a special merchant ad type, and one of the easiest ways to start using inventory and lead capacity information for better SEM. They’re also very important for businesses that want to drive online-to-offline (O2O) conversions, as they display your products and store information to users who are within close proximity of your stores. When users click on your ad, they aren’t taken back to your landing pages but instead are directed to a Google-hosted storefront. LIAs use your inventory information to bring your local store online. Shoppers are also assured your store has the items they’re looking for. This helps you deliver the right ad at the right time to shoppers who are likely to convert offline. It also makes it possible to track the effect your search ads have on in-store sales. Essentially, ad schedule bid adjustments allow you to temporarily increase or reduce bids during certain hours of the day, and are a great tool for businesses that have regular, predictable, day-to-day fluctuations in sales. Ad schedule bid adjustments are also a strategic way to attract more conversions as well as manage advertising investment when your capacity is full. Here’s how it works — most PPC advertisers use ad schedule bid adjustments to bid up during times when they normally see high conversion rates from their analytics data. This gives their ads more visibility when people are more likely to convert. But you can also use ad schedule bid adjustments to adapt your investment to your lead capacity needs as well. Say a local restaurant runs PPC campaigns for their business, but finds that on Fridays and Saturdays from 12-2pm, their seating is almost always completely full. In other words, they don’t need the help of PPC ads to attract business during those hours. What’s more, they could end up paying money for clicks they didn’t need to get enough customers for their capacity limits. To fix this, they can use bid adjustments to reduce their bid (by as much as 100%) during these peak hours. At the same time they can also increase their bid (by as much as 900%) during times when business is slow. Anyone running PPC ads for an eCommerce store knows the challenges of keeping pace with it. You have to make sure the ads you display always match your inventory selection, no matter the changes. Google’s Dynamic Search Ads (DSAs) are one unique solution to this problem. 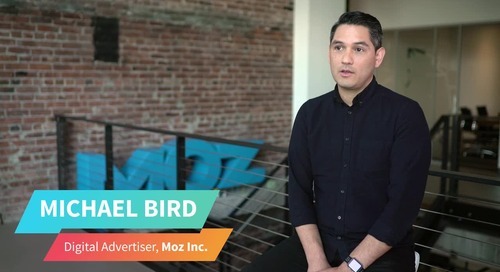 When you enable your website to serve up DSAs, Google will scan the organic index of your website and create ads for you to display in search results. So whenever you make changes to available products on your site, your DSAs will sync up. DSAs can help you create a more efficient SEM program by saving time. There’s no need to create separate ads, keyword targeting or bids for each product on your site. They will also automatically update your ads as you make changes to your site pages. What’s more, DSAs can help you capture additional traffic that you wouldn’t normally reach through a keyword-targeted campaign. Google Maps ads are highly relevant for local businesses, although most don’t fully optimize for this kind of listing. These local search ads appear on Google Maps results when people search for nearby businesses. While there isn’t a lot of real estate for ads on Google Maps, most businesses (even enterprise chain companies) aren’t doing everything they can to optimize for these choice spots. Google Maps ads are based on your Google My Business listing. Making changes to this is a big opportunity to improve local search performance, especially since 46% of all searches on Google are local. The first thing you can do is make sure your storefronts have the most recent call numbers, address and location information. If you have your Merchant Center and Google My Business Accounts linked, it’s also important to keep your local inventory information up-to-date to better optimize for these ad spaces. If you run a service-based business instead of retail, you can also optimize using time-segmented bidding strategies. For example, a coffee shop can bid higher during high traffic hours in the morning. Just remember that your Google My Business page is relevant for paid ads as well as organic search. So keeping your inventory updated, highlighting promotions, and time segmentation are worthwhile to optimize for these local listings. 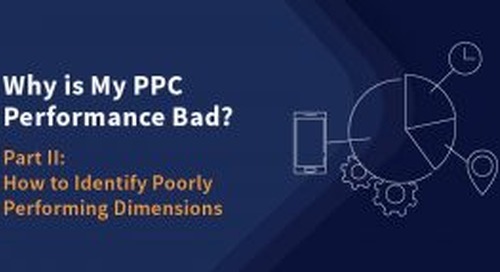 Cost-per-click (CPC) offers a unique opportunity for advertisers to drive ROI because you’re not just paying for exposure like traditional advertising. Instead, you only pay when someone clicks on your ad and visits your site. That helps ensure that you’re only paying to target the most relevant leads for your business. As a result, PPC is set up so that the most relevant keywords for your target audience are often the most expensive. But targeting the most expensive keywords isn’t always the best strategy to maximize ROI. Instead of focusing solely on CPC and subsequent revenue, it’s better to dig deeper to understand how your advertising costs relate to your overall sales cycle. 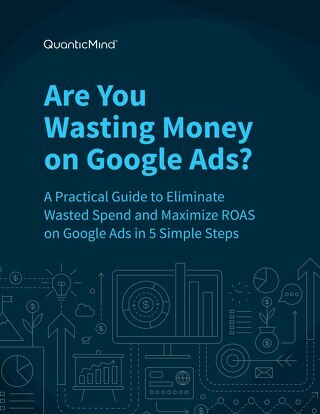 If you can calculate things like cost-per-lead and cost-per-sale, you’ll have a better understanding of the impact that your ad campaigns have on overall ROI. You might find that investing in less expensive keywords will fill your sales pipeline more effectively. You can target keywords relevant to numerous points in your lead cycle at varying CPCs. 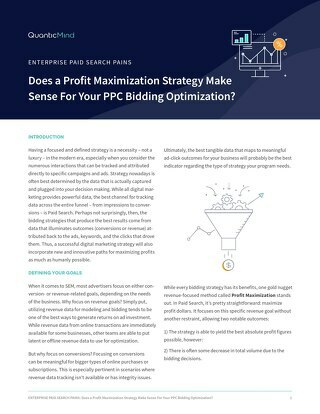 Focusing on a wide variety of keywords makes it easier to execute bid adjustments in order to ramp up your PPC strategy and adjust to lead capacity changes within your business. For example, a consulting business with a full appointment schedule for the next two months could reduce investment in bottom-of-the-funnel keywords and increase investment in top-of-the-funnel keywords to start nurturing the next round of leads into future clients. As mentioned earlier, Local Inventory Ads (LIAs) are a great way to save time and optimize your SEM efforts. Among other things, they leverage inventory feeds to help you create ads for your available product listings. However, this system does come with issues that can lead to a less-than-optimal advertising strategy. That’s because Google’s understanding of your inventory selection is limited by how often it pulls your data feed. So if a product is listed as “out-of-stock” in your inventory feed when it’s pulled into Merchant Center, Google will continue to assume that’s the case until new data comes in. This is a problem because Google could choose not to display ads for a product until it knows inventory is available. This might seem like a rare problem with minimal impact, but that’s not necessarily true. Your most popular products are the ones that regularly run out of stock, right? And once you do restock them, your bestsellers are not benefitting from any ad visibility. Meanwhile your competitors are continuing to sell and earn revenue. The solution to this problem is to pull your data feed into Merchant Center more frequently than you might think is necessary. As a general rule, it’s a good idea to do this daily to ensure that Google always has the most up-to-date inventory information and that you maximize your advertising opportunity for popular items. Certain types of businesses with rapidly changing inventory might even want to do this more frequently. In 2017 Google introduced new call bid adjustments in AdWords. The goal was to help advertisers get more out of their click-to-call ads. And it works. 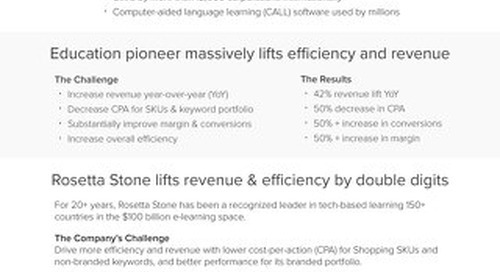 Calls convert three times better than web clicks. Call bid adjustments allow you to control how often the call option appears with your search ads. Since calls are so valuable for sales and conversions, why not show the extension all the time? It turns out that lead capacity, call volume, and sales opportunities can all benefit from call bid adjustments. Google provides an example: If you’re a travel advertiser, you may see higher order values from calls because it can be easier to cross-sell rental cars, group tours and other vacation add-ons during a live conversation. Raise your call bid adjustments to show call extensions more frequently and drive more of these high-value call conversions. But taking advantage of sales opportunities isn’t the only way to benefit from and maximize your investment in ads using call bid adjustments. Say a business runs a call center and also offers an online customer service center. They want to maximize their use of call extensions to drive high-converting call traffic within their capacity limits. For a business like this, it can be worthwhile to adjust call extension bids at times when call volume and phone wait times are high. Their ads will encourage users to visit their online help center instead of calling their overwhelmed customer service representatives. Then when call volume reduces, they can adjust to increase bids so the call option appears more frequently with search ads. Maximizing your use of call extensions within the limits of your business’ capacity is a great way to increase revenue and decrease costs. In one real world example, Medical Guardian, a Medical Alert Systems company, found that their phone leads convert 2 times more often than their web leads. 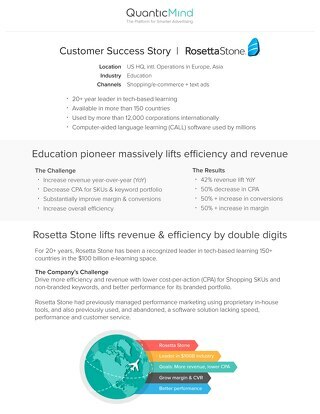 Using call bid adjustments, they were able to generate a 20% higher call volume for their business and decreasing the cost to acquire leads by 60%. 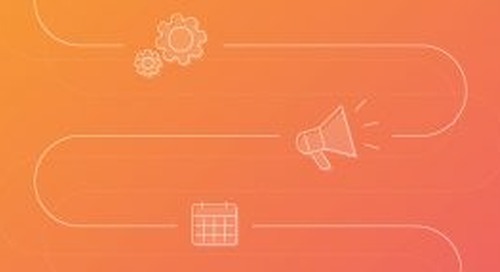 As the other points in this post illustrate, there are a lot of ways to use inventory to optimize your SEM campaigns. But businesses that get creative with their data can also optimize their local inventory distribution based on search data insights, making a more effective SEM campaign in the process. 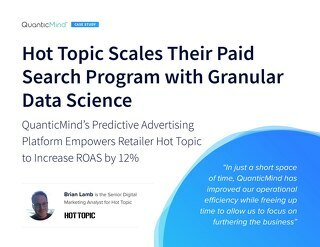 QuanticMind saw a great case study of this in practice at SMX West 2017. An apparel merchant near a college town was dissatisfied with their poor sales in local stores. They assumed (rightly) that the college-age shoppers that dominate the town preferred to shop online. So they decided to look at their geo data, layering and mining keyword searches localized around specific stores in specific zip codes. Their hypothesis: Brick-and-mortar outlets in areas with the highest search traffic would sell the most units. By optimizing their inventory in those locations against the bestselling items for college-age students, the store saw a significant (100%+) lift in profits. 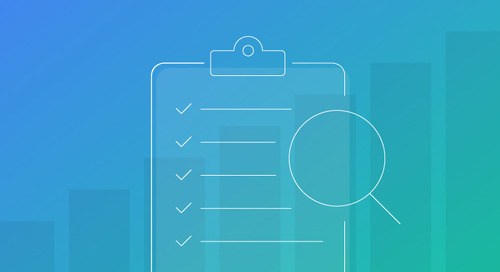 Search data can provide a lot of important insights to help businesses with multiple locations optimize their inventory distribution, marketing campaigns, bid strategies and more. Store location, online product sales by location, search interest and product interest are just a few examples of the broad data types businesses can use in combination to drive actionable insights, creating a more efficient sales strategy in the process. There are a lot of factors that can affect a business’ lead capacity, like speed of the buying cycle, call volume, phone wait times and appointment availability, among other things. And a highly optimized SEM strategy allows for bid adjustments based on these factors. Why spend money bidding on expensive, high-converting keywords when your sales pipeline is near maximum capacity? 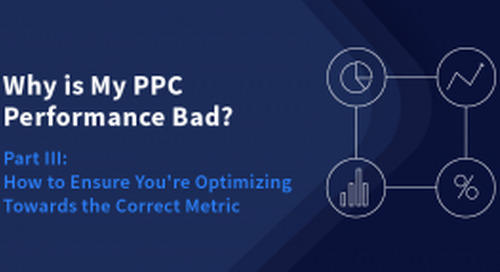 Rather than manually pausing and starting your PPC campaigns based on these factors, it’s better to adjust your bids to ensure you’re consistently meeting but not exceeding your PPC lead goals. This kind of complex bid adjustment strategy is beyond the capabilities of Google Ads’ automation features, but you can use an advanced bid management tool to create unique algorithms catered to your business needs. 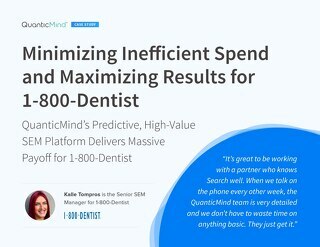 This is exactly what 1-800-Dentist did when they used QuanticMind’s software, which created a unique algorithm that works off of changes in the business’ inventory feeds to edit campaigns and make bid adjustments dynamically. This, in turn, made it easier for the company to fill their clients’ schedules without wasting ad spend when they were already at capacity. The unique algorithm adjusted bids automatically based on appointment availability and other factors, driving revenue and cutting wasted ad spend overall. The ways in which you can use inventory and lead capacity information to create a better optimized SEM program are numerous and diverse. Perhaps surprisingly, you already have a lot of the resources readily available and at your disposal. 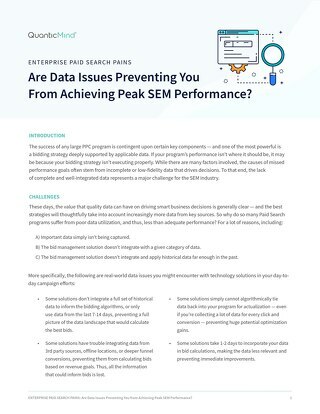 That said, being able to leverage them to truly optimize your SEM program and create the most value for your campaigns takes time, effort and more than a little strategic thinking, as well as some trial and error. 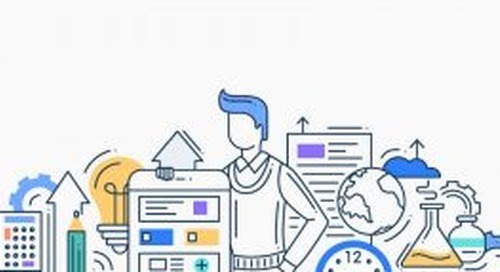 Google Ads offers a variety of features that you can use in complex ways to adapt your campaign strategies to your own business’ inventory and lead capacity. However, more advanced tools can help you develop unique automated solutions tailored to your specific business needs, profit and ROI goals as well as comprehensive marketing vision. Taking the time to figure out which tools and unique strategy works best for you is an investment that will very soon pay for itself. Because creatively leveraging inventory and lead capacity with the goal of more efficient SEM will only serve to boost ROI and make your PPC campaigns that much more profitable, and sustainable, for both your short and long-term business goals. The post 9 Ways to Use Inventory and Lead Capacity for More Efficient SEM appeared first on QuanticMind.